Events — Indian Ocean Research Group Inc.
For more information on conference and Call for Papers, see here. CFP: Africans Across the Indian Ocean - African Connections: Biennial conference of the African Studies Association in Germany, Leipzig, 27-30 June, 2018. Please note that although proposals should be submitted by 30 November 2017, given the short lead time proposals will be considered until 31 January 2018. This panel is convened by the AEGIS CRG Africa in the Indian Ocean. We invite proposals for (institutional) panels, roundtables, exhibitions, documentaries, papers, (MA and PhD) dissertations and book presentations in the newly conceptualized field of 'Asian-African studies'. Deadline : Proposals should be in English or French. They should be submitted online by 1 February 2018. Online submissions are possible between 1 December 2017 and 15 March 2018 on the ICAS website. For more information, see this link. Professor Sanjay Chaturvedi delivered a keynote at the Conference titled 'A Critical Geopolitics of the ‘Anthropocene’: Climate Universalism, Antarctic Exceptionalism and Resilient Nationalisms'. A documentary on this Conference can be seen here. "Climate is changing globally, albeit with a complex, somewhat understudied, geography underlying both the causes and consequences. What does not appear to be changing however, despite the dawn of the so-called Anthropocene, is the ‘collective’ behavior of societies, states and regimes necessary for sustainable futures. It is not a question of whether but when –perhaps sooner than later—the evolving climate change discourse at the Antarctic Treaty Consultative Meetings would be critiqued and questioned by a critical geopolitics of the Anthropocene. Such a critique interrogates its limited nature and limiting scope in terms of both ethical and geopolitical considerations around questions of knowledge, values, representation, responsibility and accountability. Climate change carries profound, physical as well as ideational implications for the Antarctic, its pronounced/proclaimed exceptionalism and the legal-political-ethical boundaries of its governance. Some of the key questions that haunt this critical [polar] social science laboratory for climate change are: What is it that is challenged or ‘threatened’ by climate change in the Antarctic: ecosystems, power-knowledge equations, national interests, interests of humankind, values, claims and rights to sovereignty? How come the powerful visualization of Antarctica and its ecosystems at the ‘receiving end’ of climate change, with far reaching regional and global implications, has so far failed to act as a catalyst for individual and collective behavioral change? After all, Antarctic Treaty states include the biggest polluters of the atmosphere. Can the current Antarctic climate discourse be broadened, deepened and reconfigured to give voice to global periphery, especially in Global South? If so, how? If not, why not?" Dennis Rumley. 6th Annual Conference of the Research Institute for Indian Ocean Economies (RIIO) at Yunnan University of Finance and Economics (YUFE) in Kunming, China, November 16. Dennis Rumley. ‘A New Cold War in the Indo-Pacific Region?’ Invited lecture for naval officers attending the Pakistan Naval War College, Lahore, Pakistan, 15 February 2017. Sanjay Chaturvedi. 'National Research Conference on 'Asian Century: Domestic Dilemmas and International Context,' Panjab University, India, 23-24 March 2017. Sanjay Chaturvedi. The Tinker-Muse Prize for Science and Policy in Antarctica, (as member of Selection Committee), Wellington, New Zealand, 20-21 June. What are the challenges that IORA faces today? How to engender concrete outcome's in IORA's six priority areas? How can IORA promote regional economic cooperation and integration? How can IORA foster its sense of regionalism? How can IORA play a constructive role globally? How can IORA harness the shared cultural identity among its member states for the common benefited of its people? How can IORA promote people to people connectivity including among its students and scholars? How can IORA ensure and promote its relevance in the future? Professors Dennis Rumley and Tim Doyle attended the second Indian Ocean Dialogue in Perth, Australia. The Indian Ocean Dialogue is an annual meeting involving representatives from each of the twenty Indian Ocean Rim Association member states as well as the six dialogue partners. Representatives include government officials, experts from academia and research institutions, and accredited observers. The Indian Ocean Dialogue 2015 was organised by Future Directions International, and the Department of Foreign Affairs and Trade (Government of Australia), with support from the Indian Ocean Rim Association Secretariat and the Australian Department of Immigration and Border Protection. the Blue Economy as a driver of economic growth. A document entitled "The Perth Consensus" summarises the discussions and key outcomes of the second Indian Ocean Dialogue. It can be accessed here. Meeting of Indian Ocean Rim Association Academic Group (IORAG) in Jakarta, August 2015: "Developing a Research Programme for IORAG"
Profs Tim Doyle and Dennis Rumley were both invited to attend the National Working Committee of The Indian Ocean Rim Academic Group (IORAG) held in Jakara, Indonesia on 14 August. Tim was invited as the current Chair of IORAG and DFAT Academic Focal Point for IORA to discuss preparations and arrangements with Indonesian officials for Ministerial and Senior Officials Meetings in Padang, Indonesia in October, which he will be attending as part of the Australian Government delegation. Dennis was invited to assist in constructing the agenda for the October 2015 meeting in which the leadership of IORAG will be transferred from Australian to Indonesia. 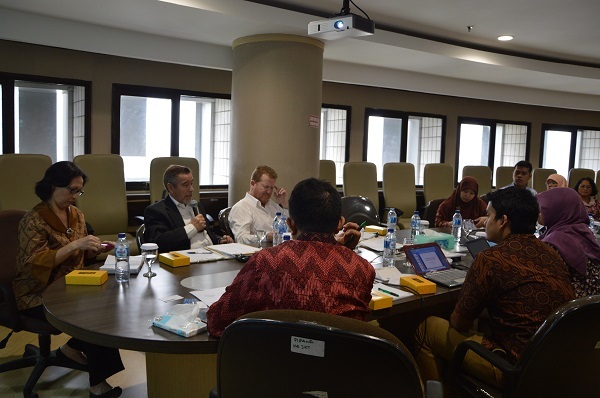 Tim Doyle presented: ‘Academic Diplomacy and Region-Building.’ Presentation at the National Working Committee of The Indian Ocean Rim Academic Group (IORAG), Jakarta, Indonesia, 14 August 2015. Dennis Rumley presented: ‘IORAG Reform and Futures’ Presentation at the National Working Committee of The Indian Ocean Rim Academic Group (IORAG), Jakarta, Indonesia, 14 August 2015. Click here for copy of presentation to the Indian Ocean Rim Association Research Group Expert meeting. "Developing a Research Programme for IORAG". Presentation given by Professor Dennis Rumley, Professor of Indian Ocean Studies, Curtin University Australia to IORAG Expert Meeting, Jakarta, 14th August 2015. Research funded by the Australian Research Council Discovery Project DP120101166: "Building an Indian Ocean Region." 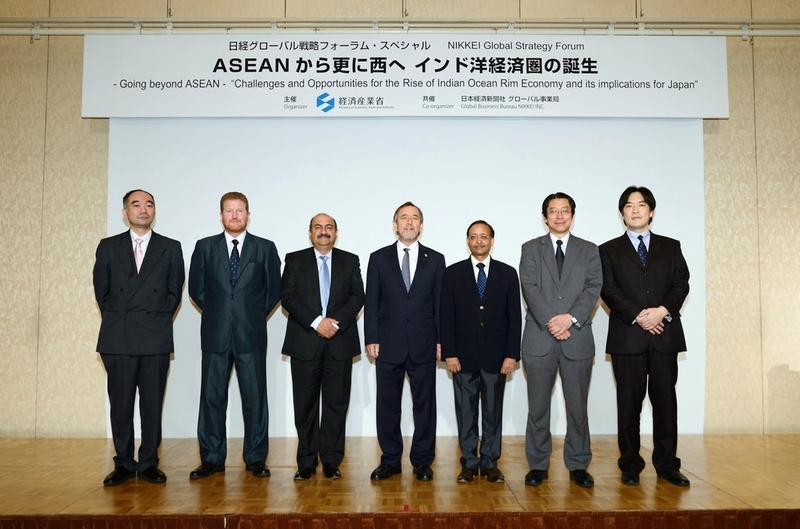 In 2014, the Australia-Asia-Pacific Institute organised a well-attended Conference on Indian Ocean Futures, attracting a wide range of scholars from around the world. The special edition, Proceedings from the Australia-Asia-Pacific Conference on Indian Ocean Futures 2014 was published in June 2015 edition of the Journal of the Indian Ocean Region. This special edition covers a broad range of themes, including: green urbanism in the Indian Ocean Region; Sino-Chinese rivalry in the IOR; adaptation to climate change issues; maritime security off the coast of East Africa; and a cultural piece about cultural futures in the IOR. Professor Rumley, the Chair of IORG Inc. speaks at Nairobi Conference on Maritime Africa Political Economy, 2014. Above: Fifth Annual Conference of IORG on Climate Change in the Indian Ocean Region: Geopolitics, Energy and Security. Jointly organised by the Indian Ocean Research Group Inc and the Centre for Indian Ocean Studies, Osmania University, Hyderbad. November 16 -18, 2009.
International Conference on Indian Ocean Regionalism: Reinvigorating IOR-ARC. Jointly hosted by the Indian Council for World Affairs (ICWA) and IORG. 5 - 6 May 2011, New Delhi. International Conference on Energy Security in the Indian Ocean. February 15 - 16 2004. The Indian Ocean in a Globalizing World: Critical Perspectives on the 21st century. 18 - 22 November 2002.